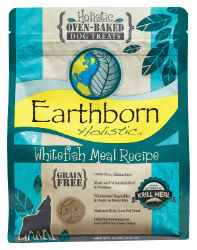 These biscuits are sure to satisfy your dog’s taste buds and help him maintain a healthy, active lifestyle. These low-fat, grain and gluten-free biscuits are packed with premium whitefish meal and additional vegetables and fruits, such as potatoes, peas, apples, blueberries, cranberries, carrots and spinach for optimal palatability. Powered by the cutting-edge ingredient, MSC-Certified Antarctic krill meal, these treats are a nutrient-rich source of Omega-3 fatty acids, benefiting your dog’s immune system, brain, joints, skin and coat. Helps reduce tartar build-up and bad breath.